SOLD: 1977 PORSCHE 911S COUPE WITH SUNROOF&AC. 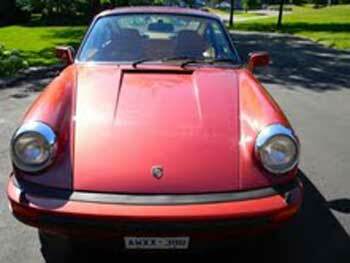 1977 Porsche 911S Coupe with Sunroof & AC, California car, rust free, 3.0 litre, 5 speed manual transmission. Garaged every winter. Clean inside and out. Minor clear coat issues. Recent maintenance includes new clutch, suspension done and new rear brakes and tires. Take a look at our list of Porsches For Sale.